Big things are happening at Refresh! Find Pregnancy Yoga, Beginner Yoga, and Teacher Training at your Local Yoga Studio! Click the links to learn more or enroll in upcoming events. – Baby & Me Workshop March 25th, 3-4:30 PM with Sharlotte. Parents and babies under one year of age are welcome. Investment: $35 Looking for options after “prenatal yoga classes near me?” This is it! Consider Refresh your Prenatal Yoga Center. Our postnatal classes are a wonderful way to continue self-care after giving birth. Take time to bond with your baby as well as treat yourself to exercise and recovery opportunities. Apply some of the methods you learned in your pregnancy yoga classes. -Are you up to the Challenge? Experience the benefits of a daily practice with our April 30-Day Challenge. Win discounts, merchandise or a free private lesson. Commit now. Enrollment is free! Specially priced unlimited passes are available. These special passes will activate on April 1. This is a great chance to do Yoga in Alexandria, VA on a daily basis! Looking for “Yoga studios near me”? Look no further than Refresh Yoga Center. We are easy to find and get to on King Street in Old Town Alexandria. Escape from the hustle and bustle with us and do Yoga Old Town style. -Fine tune your asana and evolve your practice in this 3-part Ashtanga Series with Kate. Meets 3 Saturdays for 2 hours in April. Bonus: Each session counts as two classes for your Challenge! Investment: $110. Members: $99. Most Yoga Studios in Alexandria, VA do not offer this style of yoga. Take advantage of your local yoga studio nearby and register now! Do you want even more Yoga in Alexandria, VA or “Yoga Classes Near me?” We have the answer. -Summer Teacher Training Immersion and Advanced Yoga Studies. Enrollment is open for our 200 Hour YTT with Lead Trainer, Pia Economou. Learn more and apply here. You’ve been thinking about this a long time. Why wait? The next Prenatal Partner and Pregnancy Yoga Workshop at Refresh Prenatal Yoga Center with Maria will be Saturday, April 8th 3:45-5:45 PM. No yoga experience necessary! Connect with your partner and baby, move and meditate and grow your toolbox of knowledge for pregnancy and childbirth. Take advantage of early bird pricing and enroll before March 24th. Only one partner needs to register. Maria teaches prenatal yoga at 9 AM on Sundays and Tuesdays at 6:45 PM. Please reach out to her if you have any questions. -Know anyone who should try our beginner series? There is still time to enroll in the current session due to the snow storm. Email our studio director Kathryn@refreshyogacenter.com. Beginner Yoga classes are hard to find! Enjoy beginner yoga classes near you. We offer the beginner yoga series on Mondays as well as a beginner yoga class on Saturday mornings. 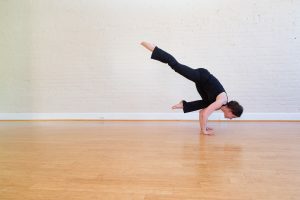 – Arm Balance Thursdays 1 week left.Each week for one hour we will focus on preparation for a different arm balance, its modifications, variations, and transitions. Yoga experience is recommended, but postures will be adapted to each individual’s level. Often in a regular group class, you don’t have the time to analyze and practice these fun and challenging postures. Each week will build upon the previous so your strength and confidence in yourself continually grows.